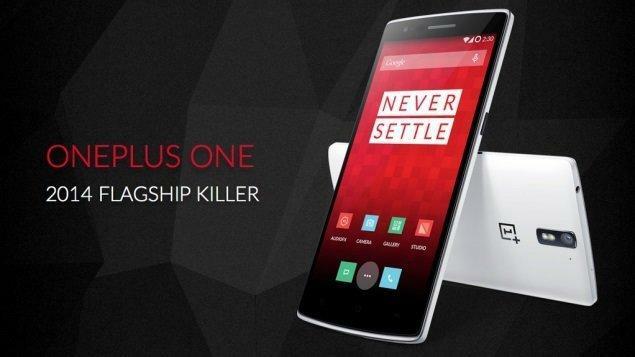 OnePlus One, the “2014 flagship killer smartphone”, that is recently released with amazing specifications with a staggeringly low price. It was reported that the “Oneplus one” is facing Touchscreen issue and it was been reported by many users. The touchscreen of Oneplus one is showing unresponsive display. Now the company has released the new OTA update for Oneplus One, to resolve this unresponsive display issue in the “2014 flagship killer smartphone”. 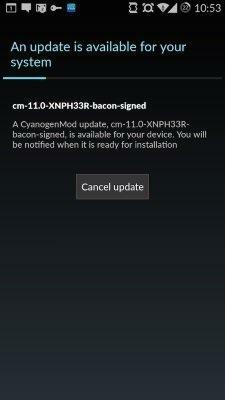 The updated version for Oneplus with the file name “CM 11S 33R” is released. Soon you update the Oneplus through OTA, buildnumber will be updated to XNPH33R. The OTA update provides the critical security updates that fixes, all the know issues in the Oneplus. The one Plus forum, reports that the new OTA update “”CM 11S 33R””, will be started rolling out very soon and we could expect the complete release of the update by September 1st week 2014. The maintenance update provides the critical security for the Oneplus smartphones along with fixing there Screen issues. The list of features the OTA update, brings for the One smartphone are new radio image; touchscreen fixes; less power consumption while unused; some audio fixes, and unspecified security update. If you check out different scenarios about, One plus One, it explains, that the “”2014 flagship killer smartphone” is not opt name, because when you compare Oneplus One with Xiaomi Mi3, the real flaship killer will be Xiaomi Mi3. There are no issues reported regarding Xiaomi Mi3 and it has best class features than Oneplus. If you still wants to order Oneplus in India, just follow the process “How to get OnePlus One smartphone in India 2014 ? Read more. Another user named Nathan Hohsfield has posted a YouTube video showing that the handset still has touchscreen issues after the CM 11S 33R OTA update was installed.